Is within our comfort zone of knowledge & understanding. Or even if we don’t, our know-how around the area means we can at least navigate ourselves through any difficulties and questions without appearing too silly. Another reality check – followed by a Power Ranger karate kick to your forehead. HADOUKEN! Because if you really are making some forward movements you will probably get to a point where you sit back, look around, have a think and go. Hmm. I’m out of my depth here. This happened to me recently. However just as I was about to go off and cry, I got an instant revelation of the situation and it was turned around for my encouragement. 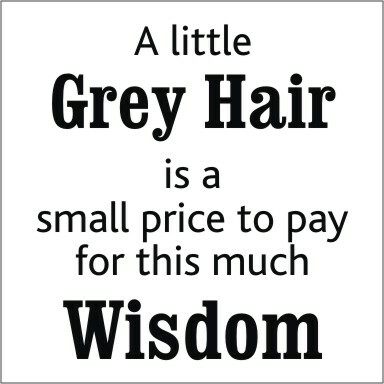 I need to get some grey hairs. Sometimes feeling like a fish out of water is good, especially at a young age. It inoculates against laziness and prompts more learning – and it reminded me that in some things. ONLY EXPERIENCE WILL TEACH YOU. So what’s the quickest ways to get some Grey Hairs on the go? Mentor – Why wait for time to teach you. You can’t teach an old dog, new tricks. So just get an old dog to teach you their old tricks! In every aspect of life. Life University – Don’t be like the guy who after doing his final exam, went to his room and threw all of his books out the window, proclaiming. “I won’t read another book AGAIN!” This guy has just sentenced himself to mediocrity. All this week I have been reading around things for work. I feel like I’m back in school But it’s all necessary. Anyways. Was just a quick thought that passed me though my head, and I thought, “don’t be selfish Zephaniah. Share it.” It may just help somebody. If you have any other ideas to grow some grey hairs – leave a comment – if you have real grey hair you want to deal with – consult your local chemist. Previous Post Some People Think You Stink.